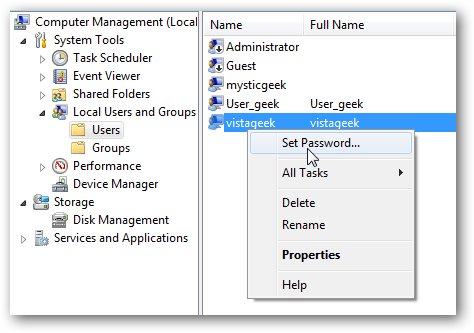 If you have multiple user on your local machine or manage workstations in an office, you might want to enable or disable their password protection for added security. Today we take a look at how to do it in Windows 7. 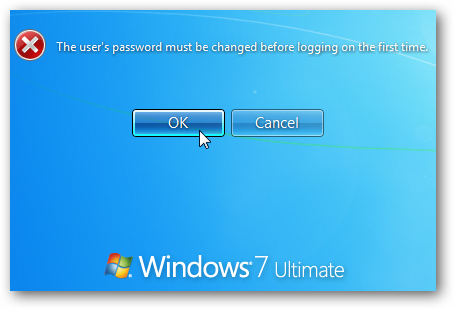 Note: Unfortunately this method does not work in Home versions of Windows. Also, these are stand alone machines and not part of a domain. It you set anything locally on a machine on a domain, the domain settings take precedence. 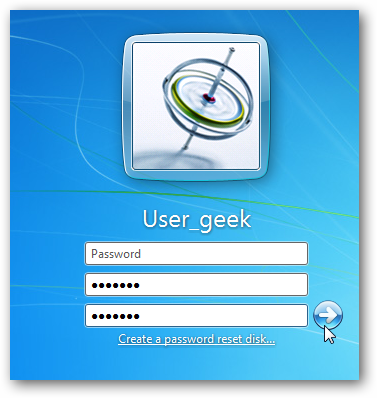 Here we will start with basic password management. Right-click on Computer in the Start Menu or from the Desktop icon and select Manage. Navigate to Local Users and Groups \ Users and double-click on the user account where you want to manage password expiration. 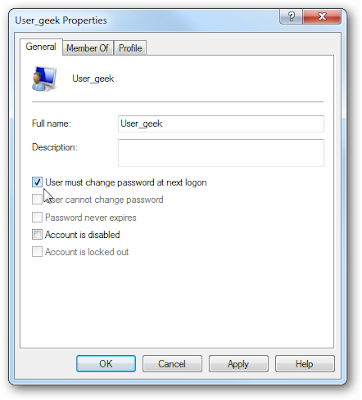 In this example we used User_geek…and we can select if they need to change the password on next login, disable them changing it, or password never expires. The process is essentially the same in Vista as well. 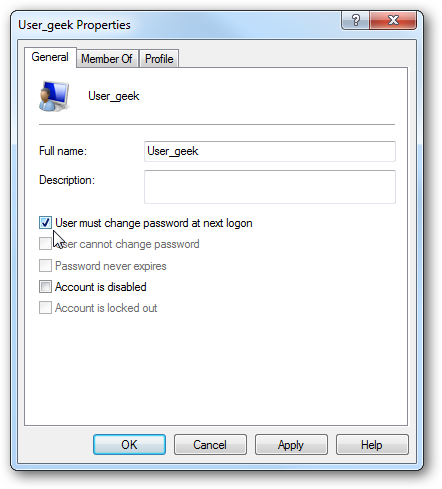 For User_geek we set their account to change the password on the next logon. So when they logon they’ll see the following message. Since this is the first time they have logged on, there was no Password yet, but they will need to create one. There are other ways you can manage user passwords locally too. 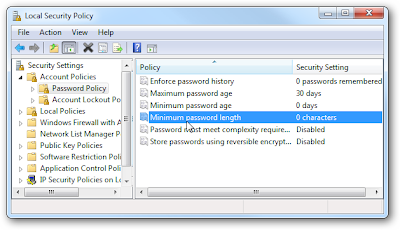 Here we take a look at some other options using Local Security Policy. 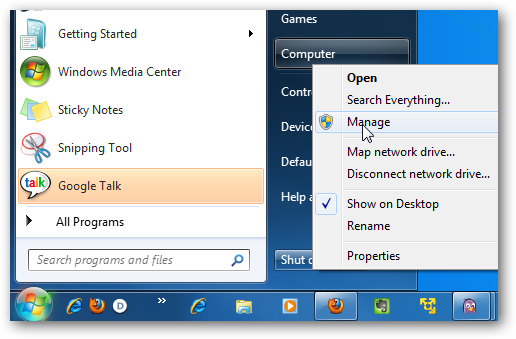 Click on Start and type secpol.msc into the Search box in the Start Menu and hit Enter. 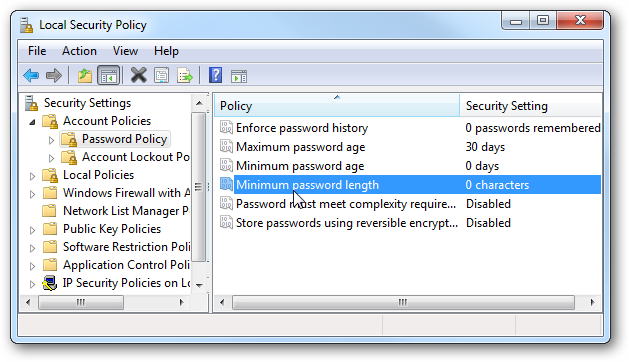 In Local Security Policy navigate to Security Settings \ Account Policies \ Password Policy. 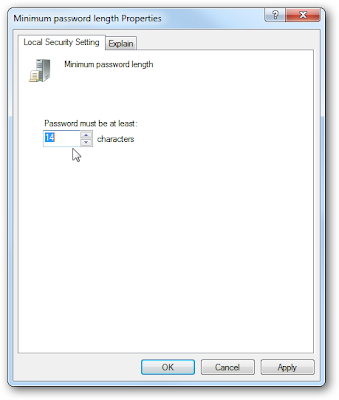 Here you can see several different options like Maximum and Minimum password age, Enforcing password history, Minimum password length, and more. 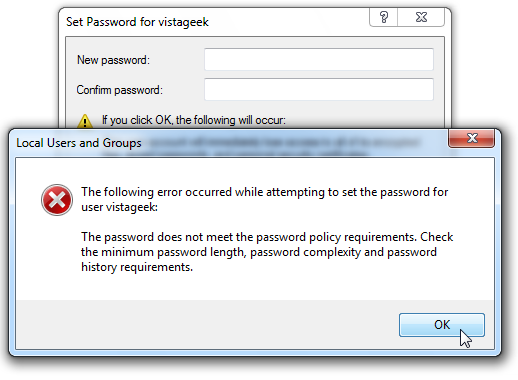 For this example we‘ll set a Minimum password length. You can set the minimum length from 1-14 characters, after you’ve made a selection click OK. If you set it to zero it is if they don’t require a password at all. 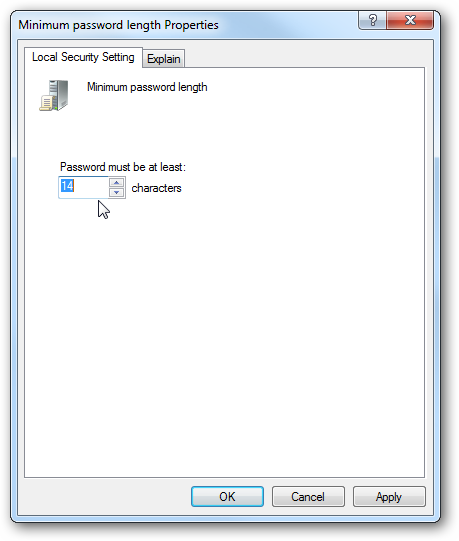 After creating a new use, you’ll need to set up a password to the minimum amount of characters you selected. 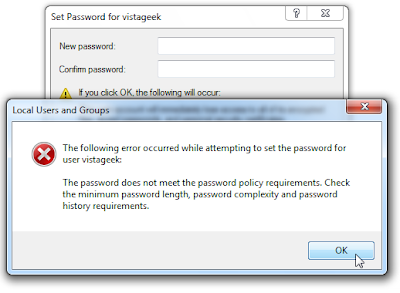 If the password doesn’t meet the requirements you’ll see the following error and have to set it to the correct requirements. 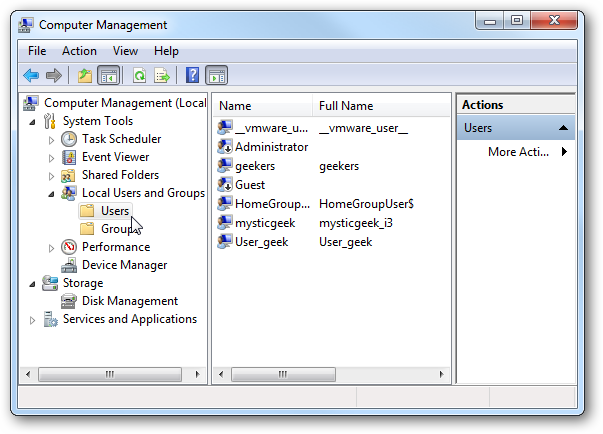 If you’re the administrator of your local machine or a couple in an office, this can come in handy for added security to user accounts. 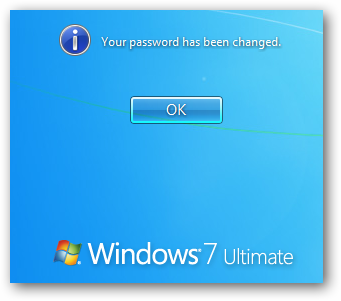 If you want to change the amount of time when users are required to change their password.